Since the Apple iPhone 6 Plus was officially announced we’ve been bringing readers plenty of comparisons of it against other top recent smartphones. There’s a lot of competition in the phablet market and we shouldn’t forget some of the older devices in this category. Although the Lumia 1520 released last year it’s still a great device, so with that in mind we’re considering the Nokia Lumia 1520 vs. iPhone 6 Plus. The Lumia 1520 certainly stands firmly in the phablet sector as it has a whopping 6-inch display with resolution of 1920 x 1280 and 367 ppi. The iPhone 6 Plus has a 5.5-inch display with the same resolution, resulting in 401 ppi. One of the major differences is that the Nokia phone launched on Windows Phone 8 (upgradable to WP 8.1), whereas the iPhone 6 Plus runs Apple’s iOS 8 (latest version 8.0.2). If you’re open minded on your choice of operating system, these are two smartphones that you may be considering, and the two videos we’re sharing today could help you in that respect. The first YouTube video embedded below this story is a pretty comprehensive comparison of both phones and discusses some of the differences between them. It begins by showing the two phones together and then moves on to talking about the designs and builds, the camera technology, hardware, storage, features, display quality, speed tests, and more. It gives some really useful insight along the way, and if you’re convinced that one of these phablets is for you, it could help you to decide between them. 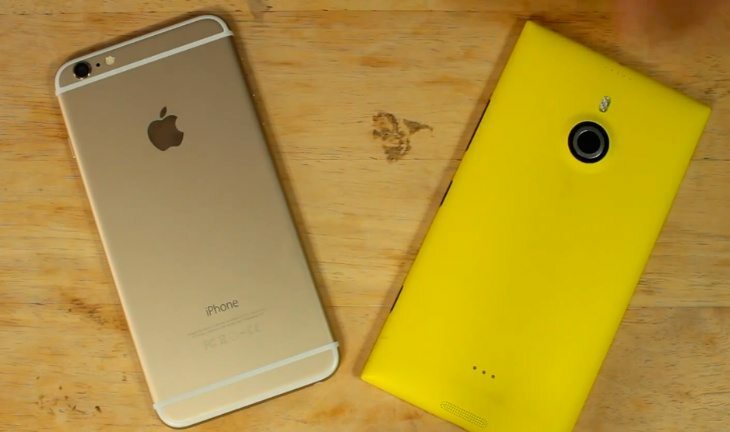 The second YouTube video below shows a size comparison of the Lumia 1520 and iPhone 6 Plus. As you will imagine this is a much shorter look at the two handsets, but it will give you some further close-up looks at them both. If you want to see more about either of these phones you might like to see our previous iPhone 6 Plus articles here or for the Lumia 1520 head here. When you’ve checked out the videos under this article it would be good to know which of these phones gets your vote. 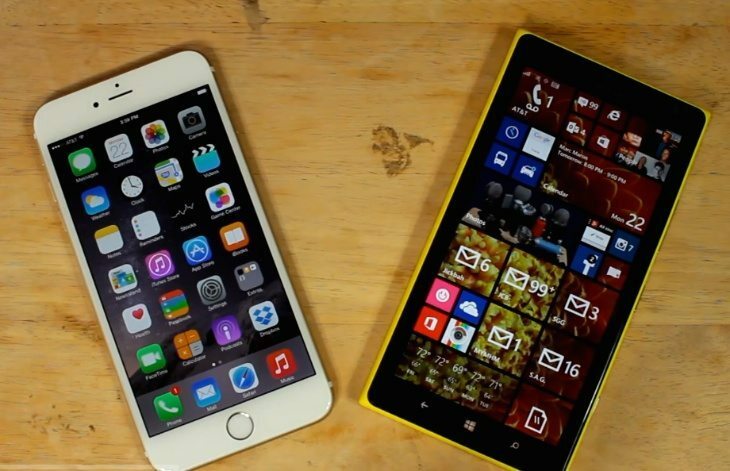 Will it be the Nokia Lumia 1520 or the iPhone 6 Plus?